Save money on gas and electricity bills with Big Switch and Save! Big Switch and Save is a Norfolk-wide collective energy switching scheme which offers residents the chance to save money on their energy bills. 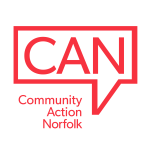 In West Norfolk it’s led by CAN and King’s Lynn and West Norfolk Borough Council. Big Switch and Save invites residents to sign up to take part in a ‘reverse auction’ where energy suppliers compete to offer value-for-money tariffs to people who might be considering changing their electricity or gas supplier. Residents who are offered a better tariff than their current rate can then switch suppliers through the scheme and save money on their energy bills. By grouping households together it is possible to negotiate much lower energy tariffs than an individual switching supplier on their own. It’s simple to take part, it’s free of charge and no commitment is required. If you’re not happy with the new tariff offered, you simply continue with your current supplier. You can register interest in the next auction on-line at www.bigswitchandsave.co.uk You'll need to have details of how much gas and electricity you currently use. This can be found on your annual statement from your energy supplier or on your energy bills. Up to five households can register from the same e-mail address, so if you don’t have e-mail yourself you can ask a friend or family member to register from their e-mail address. For help registering on-line, call 0800 0488 285. The Big Switch and Save scheme only covers gas and electricity – but the website also contains information about fuel oil collective buying schemes. The energy supplier with the best deal will be decided during an auction on Tuesday 13th February 2018. If you’ve registered you’ll receive an email with an offer based on your usage and details of the best deal from the auction - then you have time to think about whether or not you want to accept the offer. Visit www.bigswitchandsave.co.uk for more information.